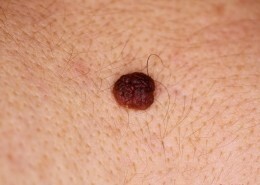 Unna Nevus is a type of dermal nevus found below the neck. What is an Unna mole? The terminology can be confusing! The Unna nevus is a type of dermal nevus that occurs below the neck whereas the Miescher nevus occurs on the face. 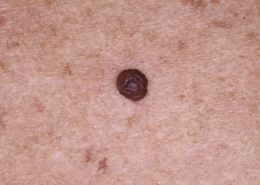 To understand The Unna nevus, bear in mind that a mole (nevus or naevus) is a benign “nest” of pigmented skin cells called melanocytes. 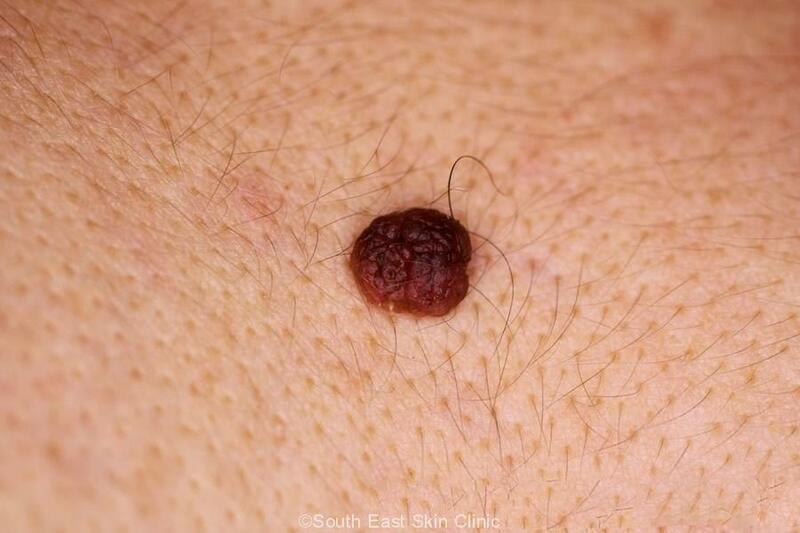 The “nests” of an unna nevus are found down in the dermal layer of skin. 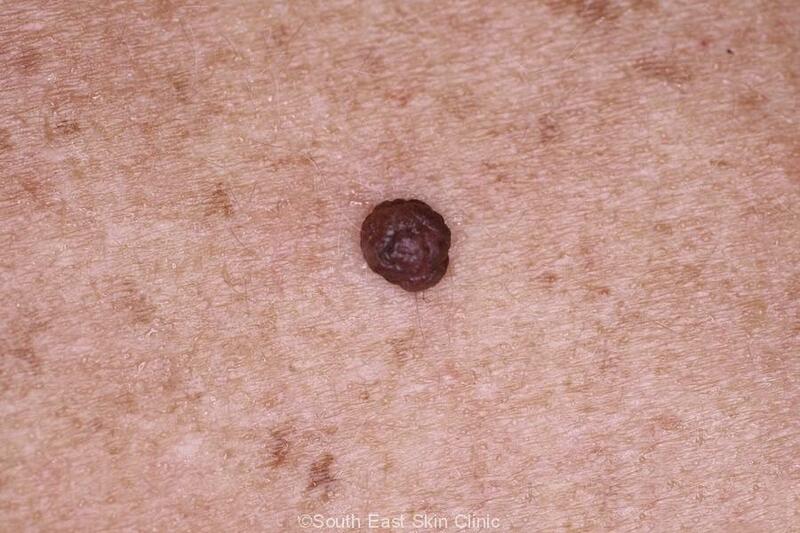 The mole is therefore “deep” and pushes up the top layer of skin. 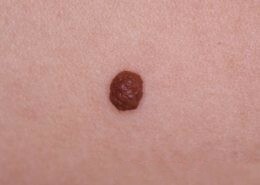 What are the features of an Unna Nevus? 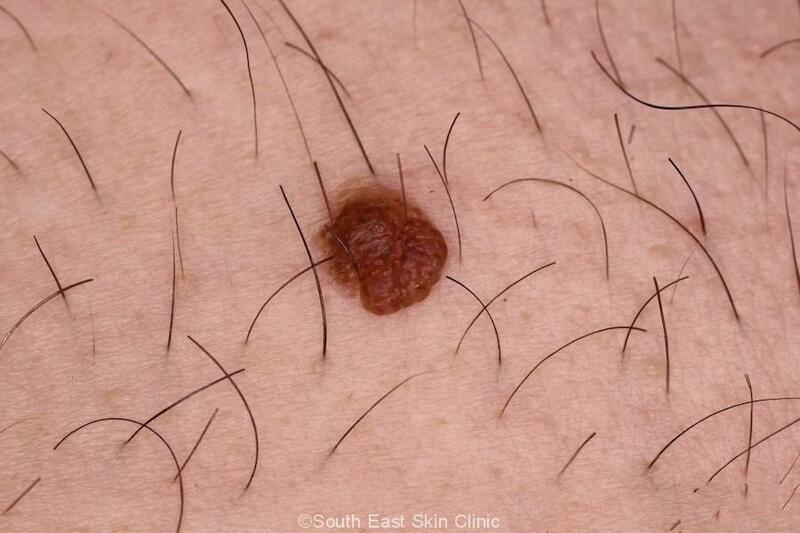 The unna nevus is a soft skin-colour, pink or brown protruding lump. The mole can be clearly and felt as it protrudes from the surface of the skin. 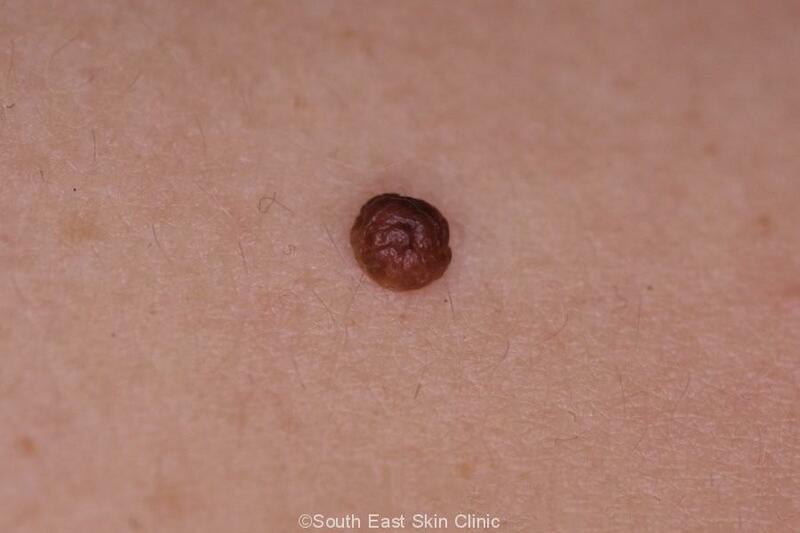 Take a close look at the surface and you may notice a cobblestone appearance, most easily appreciated with dermoscopy. 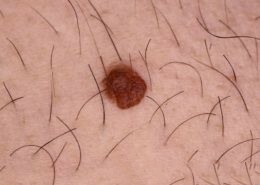 A hair is often seen protruding from the mole. 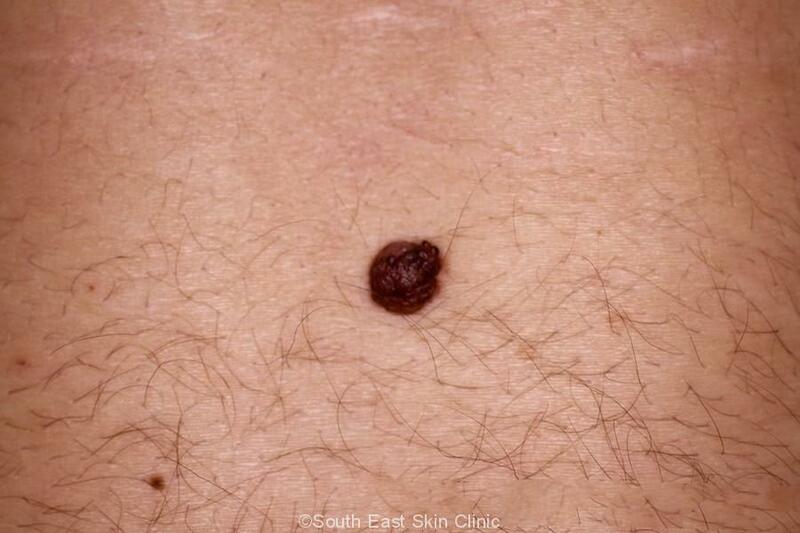 What is the significant of Unna nevus? Not much! However, they can be unsightly. The protruding area is amenable to shave excision. The natural course is for the mole to eventually shrink in size. Some end up as skin tags, and they can even drop off altogether. Unna nevus is sometimes quite ugly looking. The good news – it’s usually hidden away on the trunk, and is entirely harmless.